This Libra pendant necklace in an 18k gold plated finish features a pendant with the Libra star constellation and Libra written under the stars. This celestial necklace may be ordered in any of the other zodiac star constellations. Choose your astrology sign from the drop down menu for your astrological necklace. 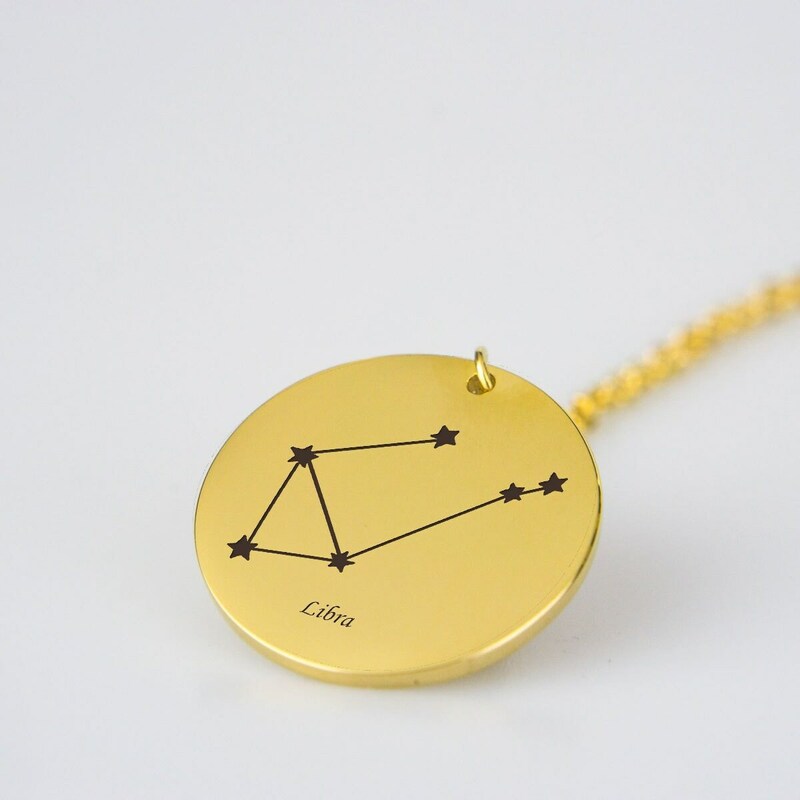 Select finish option for your Libra sign necklace from the drop down menu and quantity to order. 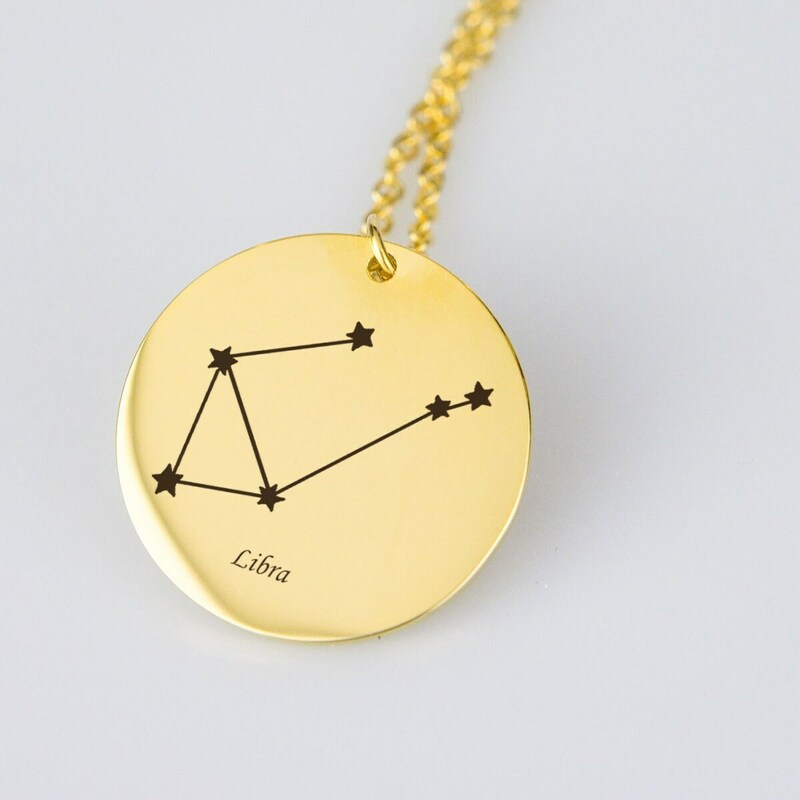 This Libra celestial gift necklace may be ordered in an 18k gold plated finish or a stainless steel finish. The Libra pendant is 0.9" (22mm) in diameter for your Libra astrological necklace. The chain is 18" (48cm) with a 4" (10cm) extension for your Libra zodiac sign necklace. 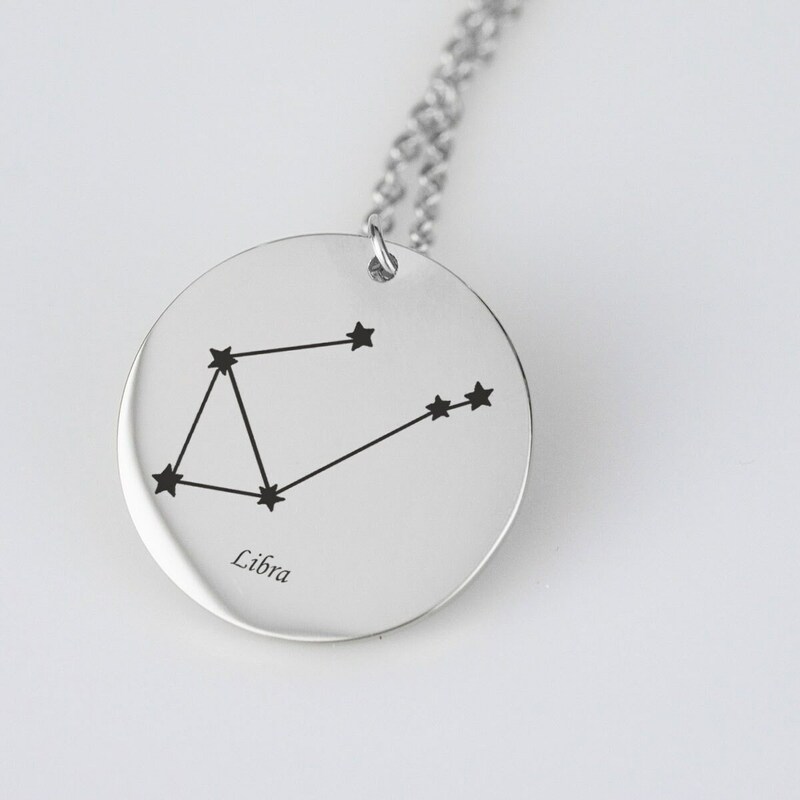 This Libra necklace gift makes a great horoscope gift or zodiac birthday gift. 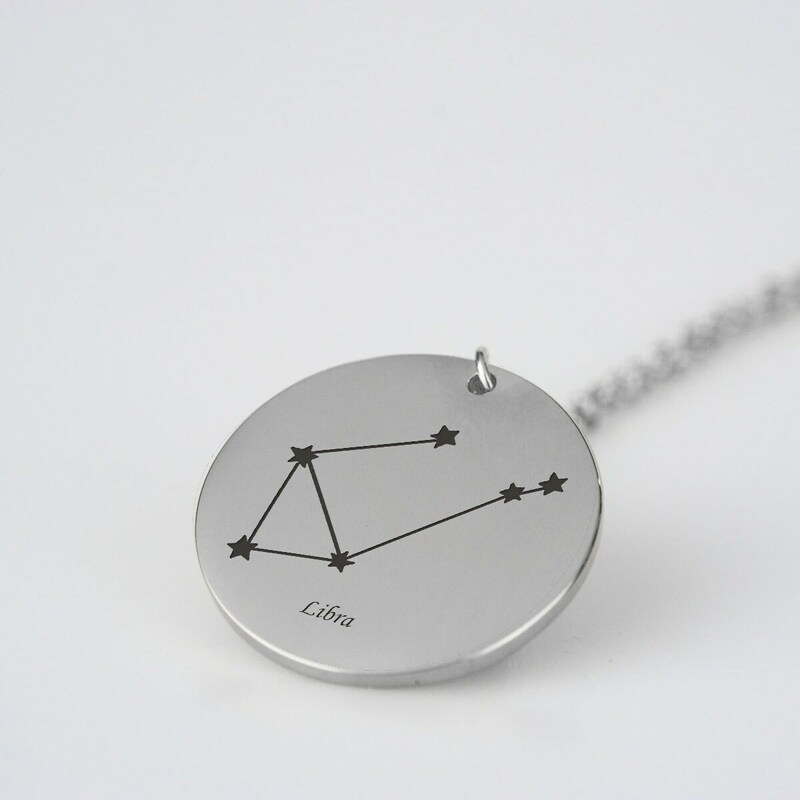 I hope you love this Libra constellation necklace.